The UK is debating parking prices at hospitals. Scotland and Wales have made it free. In England visitors to hospitals are still charged for parking. 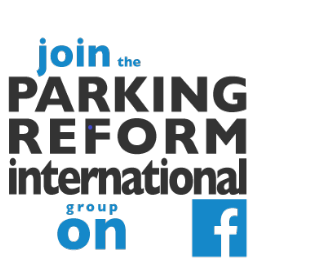 This issue has provoked a debate between John Van Horn of Parking Today and Peter Goldin of sister publication, Parking World. A recent post at JVH's Parking Blog includes the latest points from both. Their discussion strayed briefly from parking to the National Health Service (NHS) and contrasting UK versus US (and left versus right) views on health policy. I don't want to go there (For various wonkish reasons I lean towards a single-payer approach like the NHS by the way). But this does illustrate an important parking policy question: Why should any organisation with a mission be involved in providing parking? Conventional parking policy forces every development to take responsibility for its own parking demand by providing on-site parking (or sometimes parking nearby or a payment towards such parking). We are so used to this that we think it is normal and reasonable. We assume that it is the building manager's responsibility to make parking easy and affordable. But should it be? Here is another way to think about it. What is the core 'mission' of the NHS? Surely the purpose of the NHS is health and medicine, not transport and certainly not parking. Providing a travel allowance to a small proportion of clients, such as chronically ill patients and their care givers, can be justified as in line with the mission. Some of the recipients would use such an allowance to help with their parking costs, if they drive. However, providing free-of-charge parking for all visitors and all staff at hospitals, paid for from the NHS budget, seems to me to be way outside the mission and a misuse of taxpayer's money. After all, NHS does not pay for anyone's bus tickets or taxi fares does it? Can you imagine a parking policy in which we do NOT expect hospitals to subsidize parking in general? Can you imagine not expecting universities or schools or park agencies or any building managers to do so? Under such a parking policy, we would expect both onsite and off-site parking to be run as a business with maximising revenue as the primary objective. This would be best done by professionals whose core business and mission is parking, not health. Would this mean a lack of compassion for patients and their families? I don't see why. Some people do deserve help with the burden of transport to hospitals and they should get it from the hospital or health agency (the NHS in the UK case). Without the burden of subsidizing everyone's parking, there would actually be more money available with which to offer transport allowances to those who really need help in accessing the hospital. In other words, such assistance would be much better targetted at those in real need. If I were a UK taxpayer I would object to precious NHS funds funding the parking of people who don't need such help. What do you think?